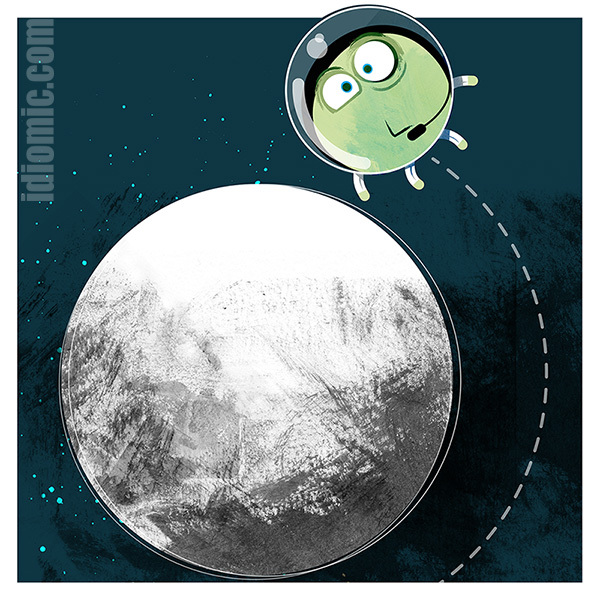 'Over the Moon' illustrated at Idiomic.com: phrase definition, example, and origin. Example: When Beryl heard that her ex-husband had fallen down the stairs, she was over the moon. Used more commonly in the UK, ‘over the moon’ is most likely to have been lifted from “Hey Diddle Diddle”. You know the one. That nursery rhyme where that cow famously jumped over the moon. First seen in print in 1760, the rhyme was probably common in popular culture for a century or more prior to this. In fact, the phrase ‘I shall jump over the moon for joy!” appears in another book “The Coquet” in 1718. The phrase really gained popularity in the 1970’s as a common exclamation during football commentary. This use was further boosted by the satirical magazine Private Eye, which published outlandish quotes from the footballing world, cementing it in everyday speech.